Let me take you back to the latter part of February in 1985. It was a time of mixed emotions that month. We were serving a church in Missouri, going to seminary at Midwestern, and I was working at a grocery store. We had four beautiful little girls that kept our lives hopping all the time. I received a call one evening that made this time so memorable. My maternal grandmother, Lucy Smith had passed away. I just felt that I had to get back to Oklahoma to be there for the service. Yet something else entered into the picture. Vicki was ‘great with child’! We didn’t know for sure when the baby would be born, but I knew that I couldn’t leave her in Kansas City alone even for the short time I would be in Oklahoma. A decision had to be made. Factoring in all the travel issues, I felt I could make the trip and only be gone about 15 hours. Yet, there was uneasiness in my spirit. I talked with my mom to tell her how much I loved her, but I just couldn’t leave Vicki at this time. So on Feb. 22nd when they laid my Grandma Smith to rest, I was hundreds of miles away. It was tough. The nurse had told Vicki to hold back until the doctor arrived. The doctor walked into the delivery room at 3:29 A.M. and the nurse announced we had a baby boy at 3:31 A.M.! As the doctor was attending to Vicki afterwards he said, “Maybe I shouldn’t have taken time to shave.” There was almost one less doctor in Kansas City! Anyway, you might note that we are now in 2017. Our baby boy, better known as Joshua Paul, just turned 32 years old. He is now married and with 2 children. He is moving forward to accomplish the tasks to which he has been called by God. Just as quickly as Grandma Smith left this life, Joshua came into it. Grandma went into the arms of God and Joshua was sent into our arms by God. What a wonderful God we have to bring joy in the midst of our sorrow. 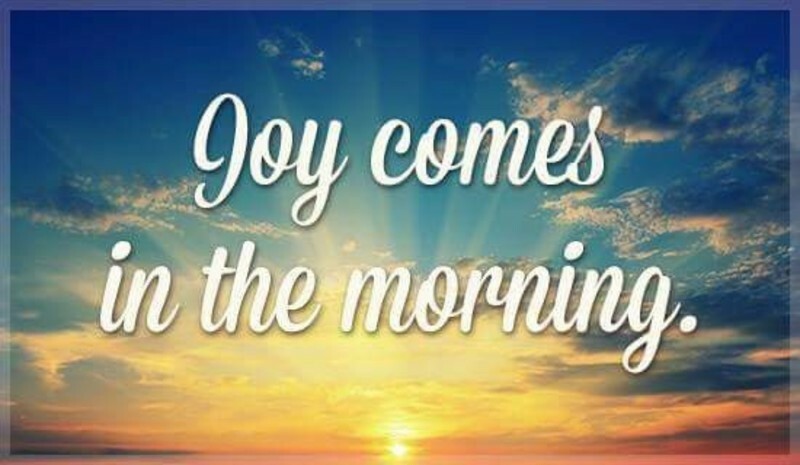 After all, ‘a shout of joy comes in the morning.’ (Ps. 30:5b). Many times we don’t understand all the ways in which God is working in our lives, but we “we know that God causes all things to work together for good to those who love God, to those who are called according to His purpose.” (Rom. 8:28). I was unable to say goodbye to a woman who had touched my life tremendously and that made me sad. Yet, I was able to greet a new life that has touched my life tremendously. God caused that time to work together for good. I had been blessed by Grandma and then by my only son. I am truly blessed! Glad you had a great birthday Joshua - looking forward to this next year.